Melbourne: Valtteri Bottas says something changed “inside his head” after being overshadowed by teammate Lewis Hamilton last year, with the fired-up Finn unloading on his critics after winning the Australian Grand Prix. 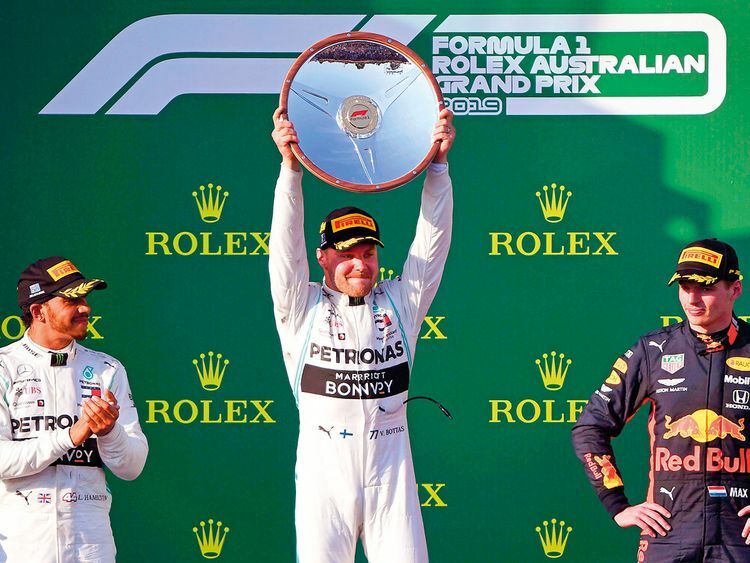 It sparked criticism of his abilities, which clearly irked Bottas, who let rip on the team radio after crossing the finish line in Melbourne for his first chequered flag since Abu Dhabi in 2017. “To whom it may concern, (expletive),” he said after beating Hamilton by almost 21 seconds, with the nearest Ferrari of Sebastian Vettel 57 seconds adrift. He explained later that the comment was inspired by the non-believers, who he wouldn’t identity but that “it would be quite a long list”. I don’t know, it’s quite difficult to explain what’s been going on here last winter, inside of my head, and definitely something changed. “It just came, I just wanted to send my best regards,” he told reporters. “That’s it. Honestly, I didn’t think about it or plan it, it just came. “Obviously there are many people who support you, and honestly I appreciate that a lot. There are many people around me, supporting me. Bottas, conscious that he needs to deliver this year with promising Frenchman Esteban Ocon waiting in the wings as the team’s reserve driver, said he learned a lot from 2018 and had taken it on board. “For sure every year you learn as a person, you learn about yourself, what works for you, what doesn’t work for you in terms of preparation,” he said. “How you rest, how you spend your free time, how you do the training, how much training, what kind, all those kind of things, travel plans, all sorts. “So [I’m] just trying to optimise everything for this year, try to maximise every single thing that is possible. “Ultimately I didn’t do a good enough job,” he said. Reports suggested Mercedes had discovered damage to the floor of his car, possibly caused by hitting debris or running across a kerb, which would explain why he couldn’t keep pace with the Finn. Despite his disappointment, Hamilton said he was happy for Bottas and would bounce back at the next race in Bahrain. “Valtteri drove an incredible race so he truly deserved it and we just have some work to do,” he said. For pre-season favourites Ferrari, it was a rude wake-up call, with the Italian team blaming balance setup issues for their lack of a competitive edge.